Haute House Lash & Beauty Bar specializes in individual eyelash extensions and offers many options for synthetic, synthetic silk, real silk, and genuine mink lashes. We provide a variety of waxing, eye lash boost, perm, brow and lash tinting, and hair salon services for our clients in Austin, TX and surrounding communities. 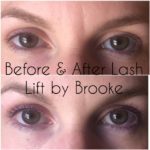 If you are unhappy with your lashes or eyebrows, we offer a variety of options to meet your unique needs. We provide eyebrow and eyelash extension services to enhance the length and thickness of brows and lashes. If you want to darken them, we offer lash and brow tinting services with several shade options to match your hair color and skin tone. We offer waxing services to define your eyebrows and remove unwanted hair. Our services include brow waxing, facial waxing, and lip waxing. The ancient art of threading uses cotton thread to remove many unwanted hairs at once. The hair is removed at the follicle level and the results can last from three to six weeks. We offer threading services, including chin threading, lip threading, and brow threading. In addition to lashes, brows, and waxing, we are a full service salon offering a wide range of hair salon services. Our services include men and women’s haircuts, color services, highlights, shampoo and style, conditioning treatments, Brazilian blowouts, and more. We now offer hair extensions as well. Our website contains additional information about our salon and the services we provide for our customers in the Austin, TX area. Please browse our website to read more about our services, view our Gallery, and contact us at (512) 628-0175 to arrange an appointment.